Aikpracha or Eakpracha. Same same. This is part 1 of my new Engraving series. 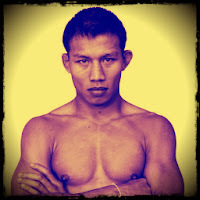 One of my favorite Muay Thai fighters is Aikpracha Meenayothin (1). He is known for his aggressive style of marching his opponents down with violent knees and hateful elbows. 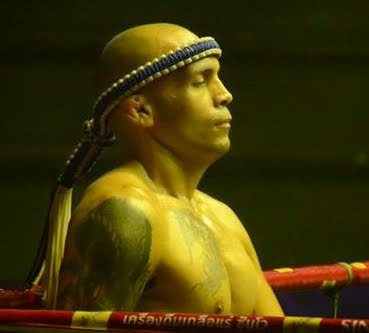 His fight against the scrappy Warren Stevelmans (2) at Max Muay (3) Thai is the first to come to mind when highlighting Aikpracha's style of forward pressure. Aikpracha's hostile method along with his southpaw stance was the perfect formula to off balanced and smash his game opponent. We'll take a look at the jab-cross-knee combo Aikpracha used on Stevelmans as Stevelmans is defending. Keep in mind Aikpracha is in a southpaw stance while Stevelmans is in orthodox, which makes the angle of the rear knee land perfectly. Enjoy!